Seven debut authors feature on the 10-strong list of summer Richard and Judy Book Club reads at W H Smith, as the retailer launches a new Book Club website featuring exclusive content. The seven debut novels are: Tigers in Red Weather by Liza Klaussmann (Picador); The Age of Miracles by Karen Thompson Walker (Simon & Schuster); This is How it Ends by Kathleen MacMahon (Sphere); The Universe Versus Alex Woods by Gavin Extence (Hodder); The Light Between Oceans by M L Stedman (Black Swan); The Sea Change by Joanna Rossiter (Penguin); and The Sea Sisters by Lucy Clarke (Harper). Eastman Kodak Company, the worldwide leader in retail imaging solutions, with a global footprint of 105,000 KODAK Picture Kiosks, On Demand Books, and ReaderLink today announced they have partnered to revolutionize the way all types of printed books will be marketed, sold and produced at point of sale. The venture brings together On Demand Books’ innovative, in-store Espresso Book Machine® to national retailers integrated with KODAK Picture Kiosks, giving consumers a full-service digital-to-print media center for all their custom print needs: from photo books, custom/local self-published titles, to educational supplements, and more. On Demand Books is also working with ReaderLink to bring in-copyright titles to non-trade bookseller channels, allowing customers to have immediate access to a vast array of non-stocked and backlist titles at point of sale. ReaderLink is the largest full-service distributor of books in North America, distributing thousands of books to over 24,000 retail outlets across virtually all substantial mass market, club, drug and grocery chains in the United States. The Espresso Book Machine, the only digital-to-print at retail solution on the market today, has begun to dramatically change the book industry by giving consumers the ability to produce a self-published book, or print on demand a book from more than seven million in-copyright or public domain titles, in less than four minutes. By integrating this solution with the KODAK Picture Kiosk, this capability will be expanded to produce perfect bound, high-quality Kodak Photo Books in minutes for in-store pick up. 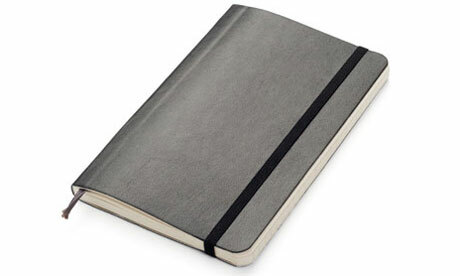 Paper Passion evokes the scent of fresh paper and comes packaged inside a real book. A few months ago, we posted a video that explained where old books get their distinctive, musty smell that so many people love. 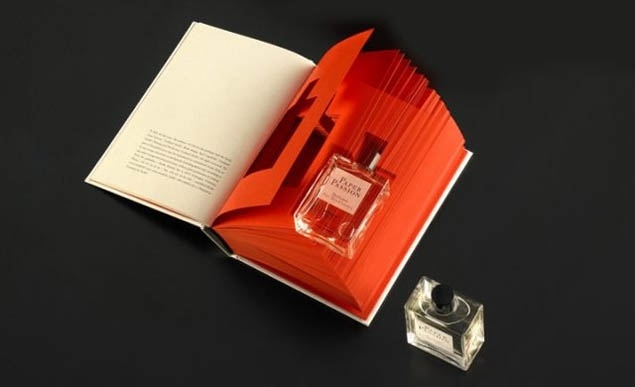 Now, for people who prefer brand new books, there’s a perfume out that will let you keep their scent with you all day. 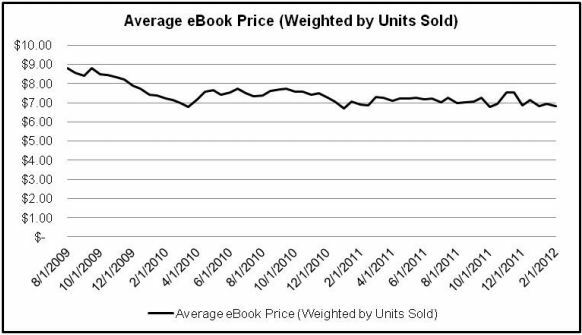 Graph which B&N says shows that agency prices have not increased cost of e-books. Barnes & Noble has joined many in the publishing industry in the battle against Amazon over electronic book pricing. This battle bears many similarities to that of a generation ago which pitted Wal-Mart against Main Street. However, there are differences as well, and the outcome is not quite so certain this time. Amazon reprises the role of Wal-Mart a generation ago. Amazon wants to sell e-books for less. It is a business plan as simple as that of Wal-Mart. 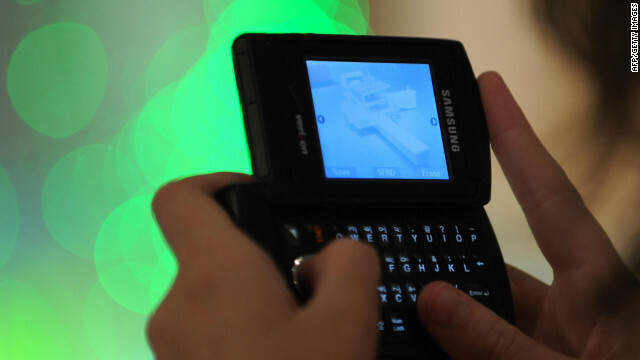 Sell more merchandise than anyone else by charging less. Crush the competition by selling it so cheaply that no one else can match your price. Consumers may treat you with disdain for being so crass, for providing so little service, but they still flock to your store. Ultimately, we follow the cheapest price. It’s like our feelings toward government. We like good schools, roads and bridges, parks, museums, all kinds if public services, but we prefer tax cuts. Now, as previously noted, there are differences from the Wal-Mart vs. Main Street battle. When Amazon entered the e-book business, it was not trampling on someone else’s turf. There was no Main Street. No one was there. Amazon wanted to make sure it stayed that way. Even without competition, they sold e-books cheaply, at low margins, at times even at a loss. The plan was to so dominate the e-book business that no one else would ever get a foothold. It worked like a charm. Three Random House Group titles have been picked for the Richard and Judy Summer Book Club, exclusive to WHS, which returns this month with an extra two titles. The Fear Index by Robert Harris (Arrow); The Night Circus by Erin Morgenstern (Vintage); and The Secrets Between Us by Louise Douglas (Bantam Press) are on the 10-strong list, which launches with Victoria Hislop’s The Thread (Headline Review). One book will be launched each week in WHS stores nationwide and online from tomorrow (24th May), with extra bonus material in the back of the titles. The Book of Summers by Emylia Hall, also Headline Review, is also in the promotion, plus third Hachette title Jubilee by Shelley Harris (Phoenix). A Perfectly Good Man by Patrick Gale (Fourth Estate) and The Hypnotists by Lars Kepler (Blue Door) from HCUK, Tideline by Penny Hancock (S&S) and Alice Bliss by Laura Harrington (Picador) complete the list. 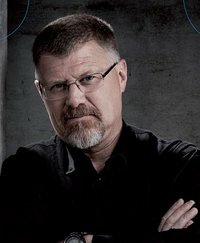 Deon Meyer‘s new Benny Griessel crime thriller 7 DAE (published in Afrikaans by Human & Rousseau, English title 7 DAYS) tops South African charts and TRACKERS, which managed to fend off the likes of Paolo Coelho, James Patterson, and many others, to maintain the Number One spot for eight weeks, is not far behind. TRACKERS was launched in the UK, USA, South Africa and Germany in September and the Sunday Times has tipped it as Meyer’s ‘best work yet’. The German edition, published by Aufbau as ROTE SPUR, has reached Number One on the KrimiZEIT Bestseller lists too. Booksellers are relying on a handful of established names to boost sales this Christmas, with little expectation of any surprise bestsellers emerging in the next few weeks. Rachel Airey, buyer at W H Smith, said: “For us, the big authors are going to be even bigger this Christmas. That is what we have seen so far, and we expect it to continue. We don’t see new names cutting through or generating much excitement.” Sales for Cabin Fever reached 81,804, while Christopher Paolini’s Inheritance has sold 100,984 to date.